Since 1992, OneRain has been providing high-quality data and professional services to customers who need accurate rainfall and related information to make high-value decisions. Our customers' critical missions include dam safety, flood warning, storm-water and wastewater management, and reservoir and hydropower operations. Our vertical involvement in water measurement, from gauges through remote sensing and storm analysis, enables us to collect and distribute the best real-time and historical hydrometeorological data available. Our complete systems approach to hydrological management includes nationwide 24/7-supported enterprise data collection, archiving, notification and web visualization services, local data collection software, gauge-adjusted radar rainfall estimation, rain and other hydromet gauging and professional services, gauge maintenance, real-time satellite telemetry services, telemetry system integration, storm properties analyses and consulting services. OneRain has designed, built, rehabilitated, and maintains many hundreds of gauges throughout the country. Each gauge or system is tailored specifically to the customers' needs. 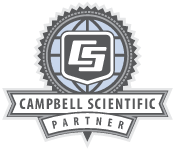 OneRain continually strives to be the industry leader to the remote hydrometeorological world, consistently pushing the bar with new technology provided by Campbell Scientific, while always maintaining quality service and support.